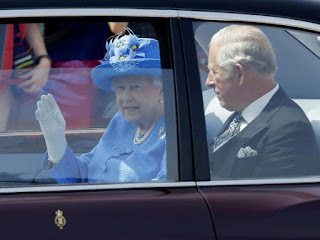 Home World United Kingdom Queen Elizabeth II reported to police for not using seat belt! Queen Elizabeth II reported to police for not using seat belt! The Queen of England, Queen Elizabeth II has been reported to West Yorkshire Police for not wearing a seat belt in the official car for the State Opening of Parliament. A 999 call was said to have been made by someone saying the monarch was not strapped in while being driven through London. The phone call was confirmed in a tweet by the West Yorkshire force, which added the hashtags #not999 #notevenwestyorkshire. Civil and criminal proceedings cannot be taken against the Queen in UK law. The Queen travelled to Westminster alongside Prince Charles for the formal start of the Parliamentary year. Her press office said it would not comment on the tweet. Tom Donohoe, of West Yorkshire Police, said too often 999 calls were made for non emergencies. “I cannot stress enough that the 999 number is for emergencies only,” he said, adding that the force typically received more than 1,000 emergency calls a day. It has previously published a list of inappropriate 999 calls that have taken up police time, including a fly being in a bedroom and a mouse on the loose. It adds you can be fined £500 for not doing so, but there are some exceptions such as drivers reversing or a vehicle being used by police, fire or rescue services. The Royal Family website says “the Queen is careful to ensure that all her activities in her personal capacity are carried out in strict accordance with the law”.